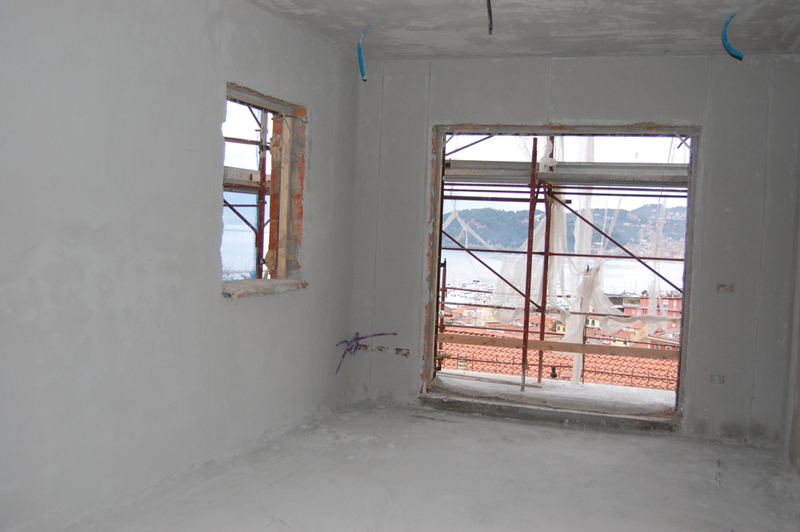 I just returned from Lerici where construction is progressing, though much of the work is not obvious from the photos. Now all of the electrical, gas, and water conduit is complete and sealed in the walls and floor. The rough stucco has been applied to the interior walls. The next step will be to install the water piping for the radiant heat and then pour the concrete that will seal the system in place. This will need to cure for about a month before the final flooring can be installed, but this will not hinder other construction tasks. These will include, installing windows and doors and the exterior stucco. We visited the artisan who is working on bathroom and kitchen tile. We also requested design and quotes from a local cabinetmaker to make interior doors and some built-in furniture for closets and the bathrooms.